Hi!! 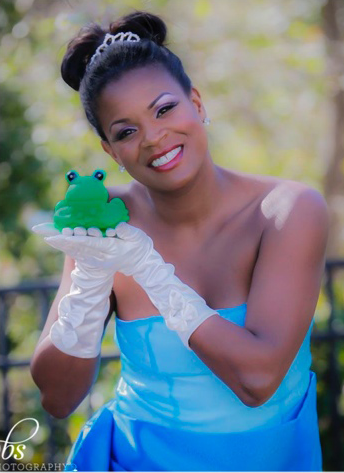 My name is Kelli Thompson, I am the founder and owner of Magical Princess Moments! AND I too am a princess!! As a little girl and even a woman I have always loved dressing up, being girly, and everything that had to do with being a princess! It is my belief that every girl is a beautiful princess. It has been my goal and desire to always make every little girl, teenager, or woman understand their inner and outer beauty… their Magical Princess Moments! I have worked with children of all ages and in many capacities as an elementary, middle, high school teacher, after-school programs, youth ministry at churches, mentoring programs, and as an auntie. It is my purpose to always maintain a positive attitude by being inspiring, enthusiastic, and fun-loving to everyone I meet! Magical Princess Moments is an experience!! Magical Princess Moments princesses are so grateful for the opportunity to share your Magical Princess Moments with your little princess! We provide Magical Moments that every little girl will remember for her whole life!! She will know how absolutely amazing she is and loved by all who surrounds her…. That is where the MAGIC comes by expressing and showing that she a Beautiful Princess and none can compare to her!!! We love knowing that our parties provides a magical experience, enjoyed by the little princesses and all attendants. Our princess impersonators not only play their role beautifully but also affirm and encourage each little girl that she is an amazing princess herself!! All the princesses are role models and fun-loving ladies that shares a real passion by bringing joy to children, creating Amazing MAGIC! It is very important to us that we provide you with the ultimate Magical Experience catered specifically for your princess! It is our greatest desire to leave every guest feeling a sparkle of magic that will leave them filled with JOY and LOVE! !